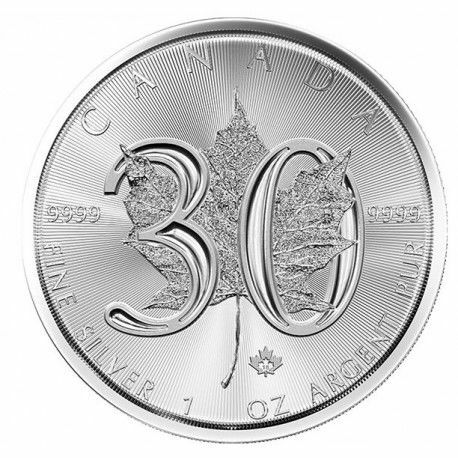 Special issue to celebrate the 30th anniversary of the famous "Mapple Leaf" investment coin. 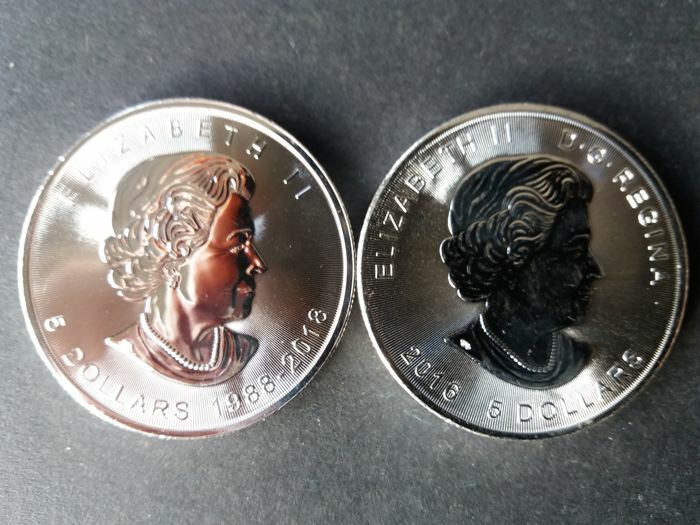 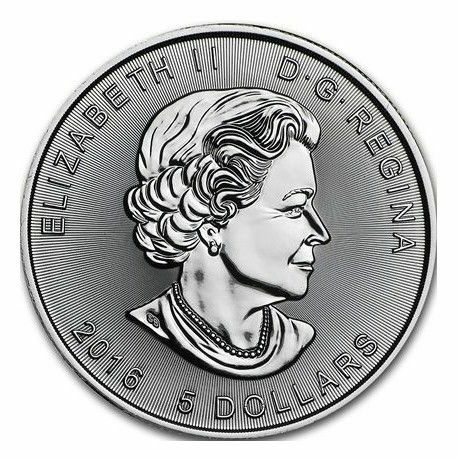 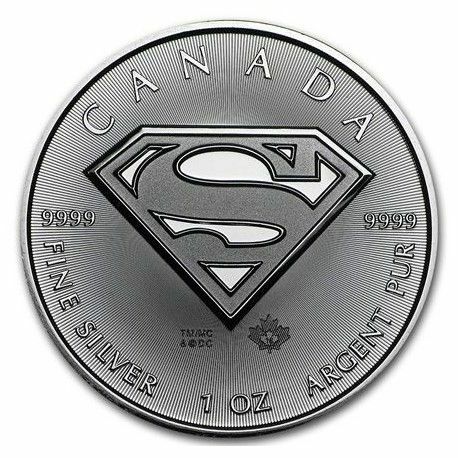 Investment coin prized by collectors. 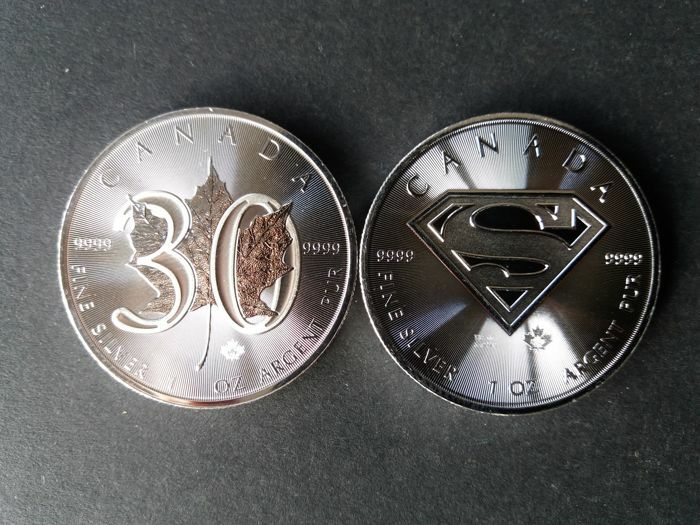 And the special Mapple Leaf "Superman"
Shipping by registered mail and the 2 coins are in capsules.